Long before shows like Masterchef Australia had me salivating, it was Anthony Bourdain’s No Reservations that stole my heart (I should probably say stomach). Here was a series that chronicled a 50-something chef’s culinary adventures across the globe. Every action-packed episode portrayed him meeting superbly informed local guides, making pit stops at the best eating joints in a city and indulging in one incredible meal after another. Green with envy, I too dreamt of travelling like him one day and, in the summer of 2013, I finally set out on my adventure. I started out with an ambitious plan: A four-month sabbatical, hoping to cover as many gastronomic regions across France, Italy and Spain as I possibly could. My reasoning behind such a food-focused trip was two-fold. One, of course, was the lure of having the best food experiences of my life. The second reason, though, was far less obvious. I had, by then, finished six years of a predominantly western culinary education, worked at a French restaurant in New York City and helmed the kitchen at a Mediterranean eatery in Mumbai, all without ever having stepped foot in Europe. So this was the culmination of many years of yearning to explore the countries whose cuisines I’d been cooking for close to a decade. The plan was to travel to over three dozen towns and cities, visit local farmers’ markets and producers, experience the best of street food as well as high-end cuisine, drink my way through the finest wineries and perhaps even apprentice at a few restaurants. While a travel show like Bourdain’s definitely had a fixer, I, unfortunately didn’t have that luxury. I also wanted to stay away from group tours and not be restricted to eating and moving about in accordance with someone else’s schedule. However, finding great non-touristy food on my own at each destination was extremely difficult. I chose my meals through a combination of guidebooks, website reviews, social media crowdsourcing and suggestions from locals. The formula I used was simple. If at least three out of these four sources recommended a particular restaurant, it usually ended up being fantastic. I made it a point to strike up conversations wherever I went. Whether they were vendors at farmer’s markets or fellow diners at a restaurant, it was these encounters that often led me to the best experiences later. My itinerary was always limited to a week ahead. I wanted to plan only far enough to find the right places to stay and eat, but remain flexible to last minute changes. Transportation was always by train or road, and stay was either in a hostel or through couchsurfing. My trip was further enriched by a few well-connected friends and acquaintances. Sarah, a batch mate from culinary school who had prior work experience at wineries across the world, connected me to at least four different boutique winemakers in France and Italy. Heather, a pastry chef I’d met while working in NYC, helped arrange free accommodation in Rome as well as an apprenticeship at a modern Italian restaurant called Settembrini. When it was time for me to leave his city, Chef Lopez coaxed me into extending my stay so that he could take me to his favourite restaurant Casa Urola. It turned out to be perhaps one of the best meals of my life. Planning is essential but it is equally important to leave certain things to chance; you never know where it could lead you, and sometimes that’s a good thing. In the end, I covered 36 different places and it was a truly magical experience. From sampling a syrupy, 100-year-old balsamic vinegar out of a barrel in Modena to munching on a tripe panini off a street cart in Tuscany; scarfing down escargot in Burgundy and slurping down an authentic bouillabaisse in Marseille; savouring jamón ibérico de bellota in Sevilla to going pintxo bar hopping in San Sebastian, I pretty much did it all by the end of this Bourdain-esque trip. 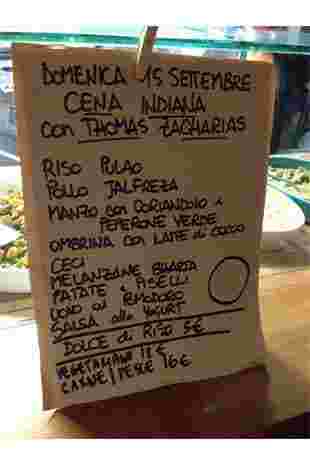 Somewhat midway through my travels, at an Indian dinner I cooked up for a couchsurfing host in Bologna, I met an Italian student named Giorgio, who insisted I alter my itinerary and visit him in Verona. A few weeks later, I found myself breaking bread with him and some friends around a bonfire in a small farmhouse on the outskirts of his city. We chatted at length about the journey and my passion to understand the regional diversity of European food. Each one of them embarrassedly admitted that I’d seen more of their home country than they ever had, and suddenly a sense of shame dawned on me. I realized how little I myself had travelled around India and how ignorant I was about regional Indian cuisines. Freshly bitten by the travel bug and overwhelmed by this newfangled guilt, I vowed to change that at the next opportunity I got. And soon enough, less than a year after my epic Euro trip, I quit my job and embarked on yet another food excursion—a two-month long part-research and part-passion project—across India this time. But that’s a story I’ll save for another day. When he’s not on the road in search of the best markets or the most popular local dives, Thomas Zacharias dons the clogs of Executive Chef at The Bombay Canteen.